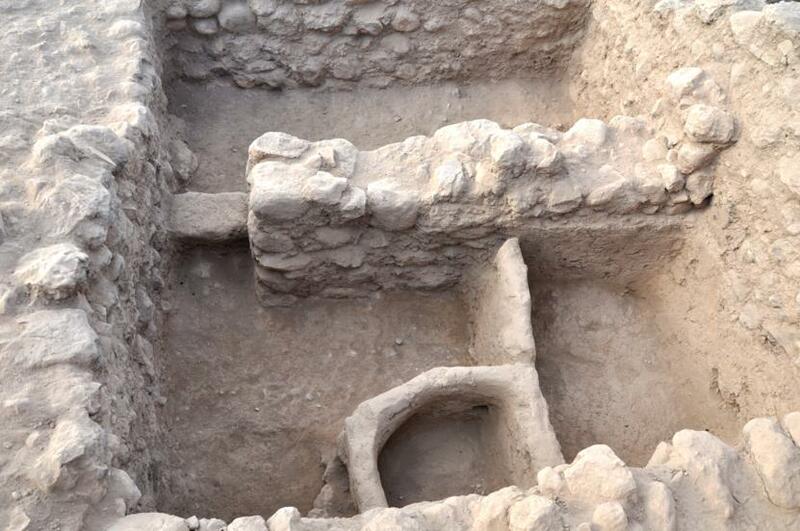 The fifteenth season of excavation at Tall Abu al-Kharaz wase mainly devoted to the earliest Iron Age occupation of the site. 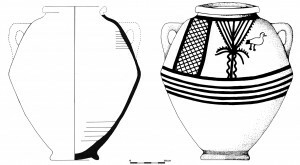 The highest priority during this season was given to the well-preserved Iron Age I (Phase IX) compound from Area 9, which was partly exposed in 2009-2011, the study of new material for a refined stratigraphy and the collection of first-class radiocarbon samples from closed floor contexts. 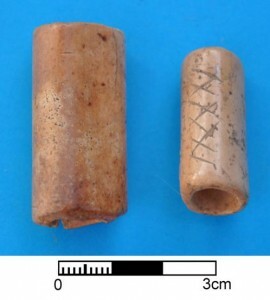 Numerous radiocarbon dates of short-lived samples from Phase IX point to a date around 1100 BCE for the destruction of the compound. The team include P. M. Fischer (director), T. Bürge (assistant field director), H. Ta’ani (foreman, trench master) and M. Al-Bataineh (surveyor, draughtsperson). Trench masters were D. Blattner, J. van der Does, K. Heiß, Al-Razzaz, and K. Sauter. The representative of the Department of Antiquities was R. M. Odat. The expedition was further backed up by the inspector of Pella, N. Khasawneh. Additional support was provided by S. Esbeihat (cook) and Y. Suleiman Musa (pottery washing). 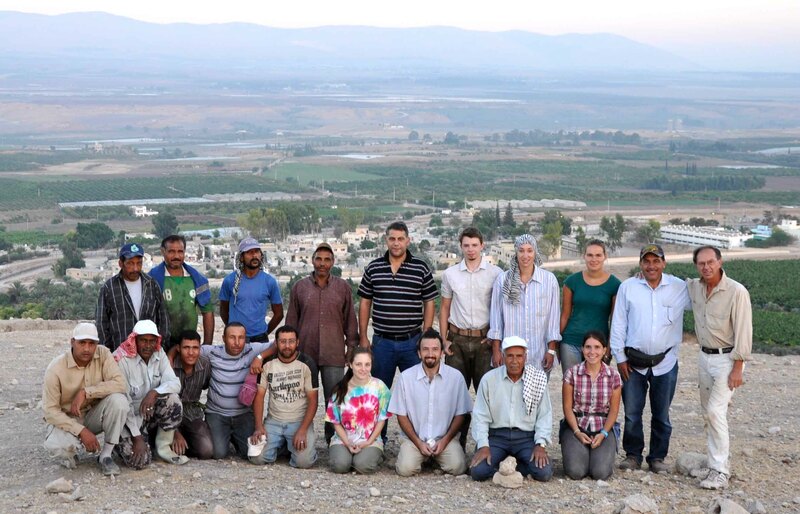 Fifteen local workers from Pella, Masharea and Yabis were engaged in the excavations. 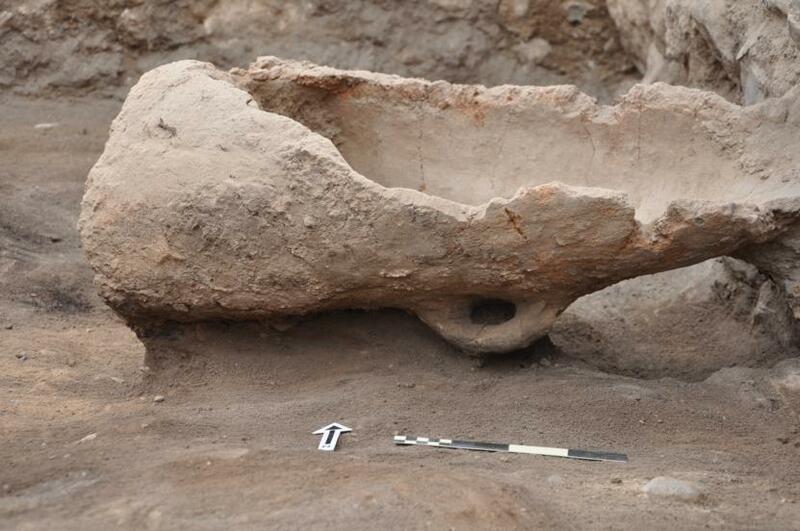 The successful excavations during the last four years increased our knowledge about the early Iron Age settlement of Tall Abu al-Kharaz which prior to 2009 was very incomplete. 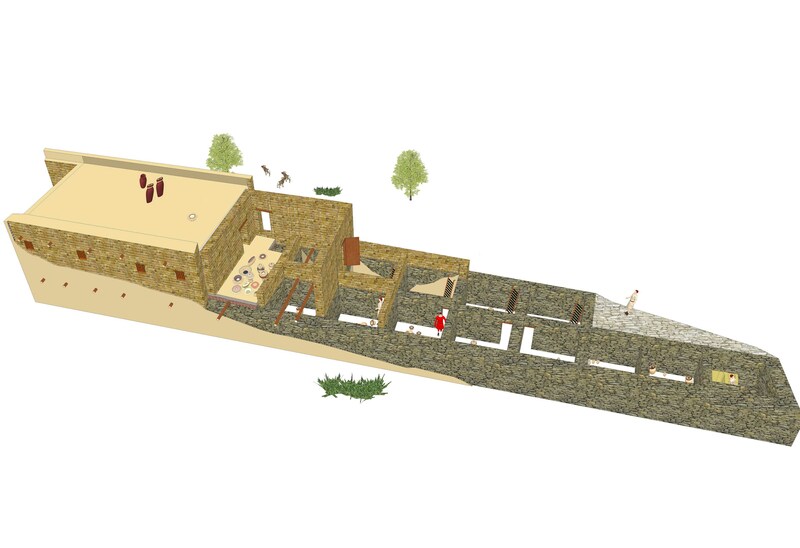 The Phase IX compound is now exposed to a length of 46 m: It consists of 21 rooms, nine pairs and three single rooms to the east and contained more than 200 complete or intact objects of fired/unfired clay, stone, metal and organic materials. We exposed rooms with walls still upright and standing to a height of more than 2 m. These are part of the basement of a building on which another storey was built. The easternmost three rooms are built directly against the bedrock which prevented the building of three corresponding rooms to the north. As the rooms of the whole building are only connected within each pair (except for Room 1, which has an entrance to the west), but never with adjoining pairs or the exterior of the building, the only remaining possibility is that the rooms were entered from above via ladders. A thick destruction layer of mudbrick, burned wood and straw covered the Phase IX building. It contains the debris of the roof and the second floor which was built of mudbrick walls and a roof construction of wooden beams, straw and clay. Numerous finds from the upper storey were not found on the floor of the basement but within the destruction layer. The compound was built against the Iron Age city wall and was most likely an integral part of the defence system. We found evidence which suggests that the city gate of the Iron Age I settlement is just east of compound which ends in a wider wall than the other walls. 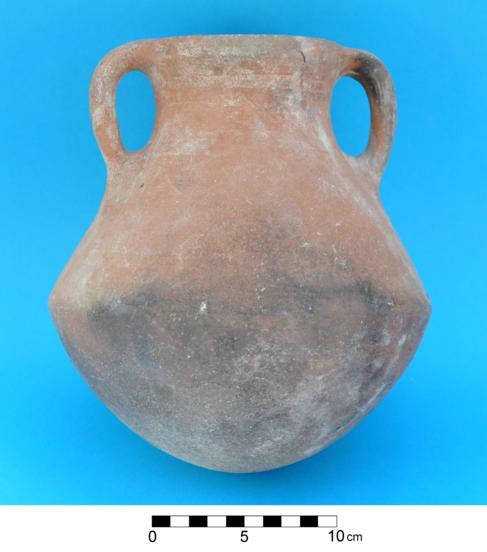 Besides an impressive variety of local pottery shapes there are numerous imports from Cisjordan, Egypt, Phoenicia and the Mediterranean sphere. This hints at far-reaching contacts all over the eastern Mediterranean of a wealthy early Iron Age society of Tall Abu al-Kharaz. 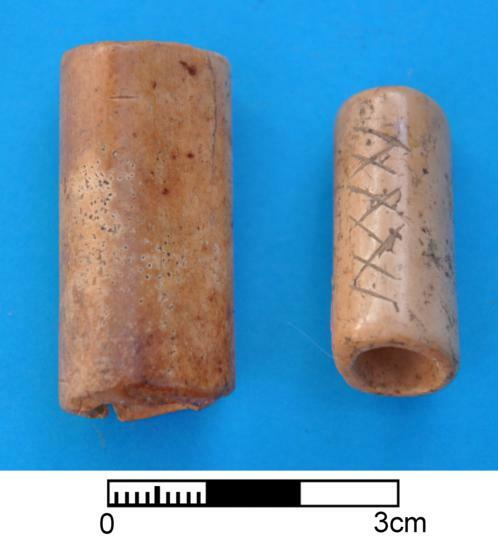 Spindle-whorls and loom weights show that textiles were produced, and the storage of high-quality raw clay and wheel/hand-made unfired vessels point to the local production of pottery. There are numerous storage vessels, many of which still contained large amounts of cereal grains such as barley and millet, chickpeas and olive oil, barley/wheat flour and other semi-processed foodstuffs. In contrast to fine tableware and small finds, such as our scarabs, – which only indicate trade connections and the exchange of goods – there are special find groups whose appearance cannot be explained by trade. 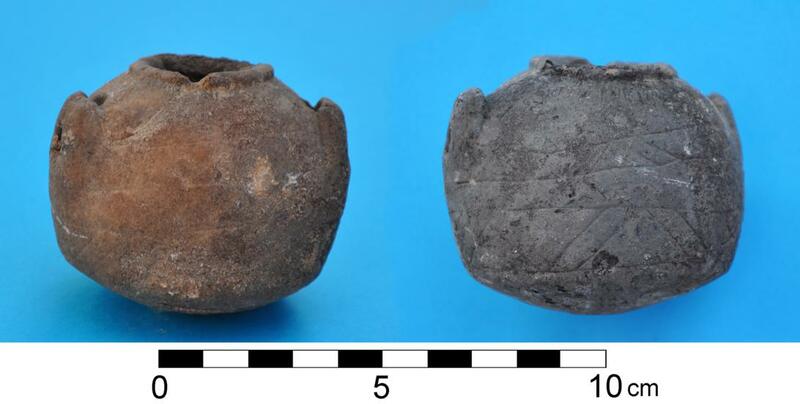 These groups are mainly represented by cooking pots and loom weights: In addition to the traditional Canaanite open-shaped cooking pot we found several examples of a closed, jug-like cooking pot, a type which is known from the Aegean and Philistine sphere of culture. 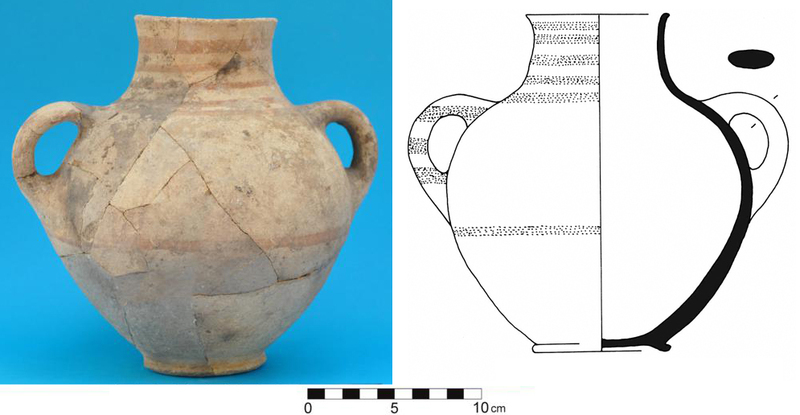 It should also be highlighted that our closed cooking jugs are very much related to – and sometimes indistinguishable from – corresponding vessels from the current excavations of the author at Hala Sultan Tekke, Cyprus, where they are dated to 12th century BCE. 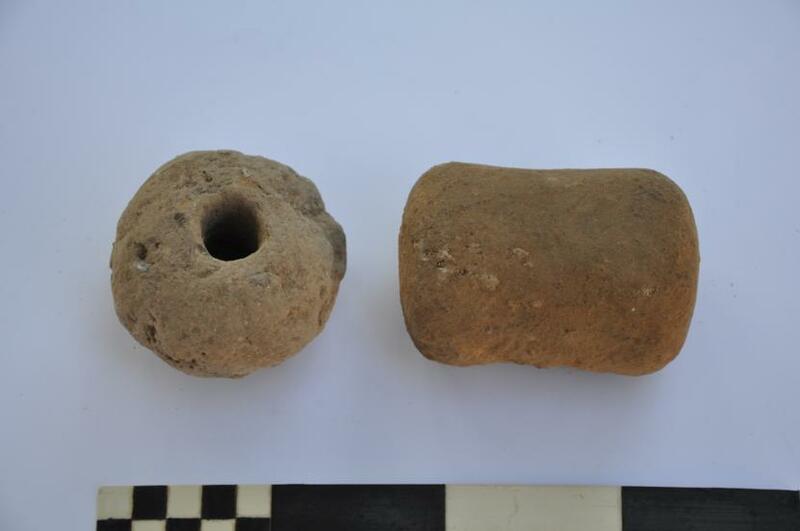 The same can be said about loom weights: the standard Canaanite loom weight is of spherical unfired, pierced, clay in the Iron Age. In contrast, the majority of the loom weights from Phase IX are spool-shaped and made of unfired clay (one is made of a spool-shaped stone). 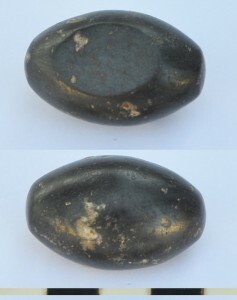 This type of loom weight also has its origins in the Aegean/Philistine sphere of culture and is often regarded as an ethnic marker. 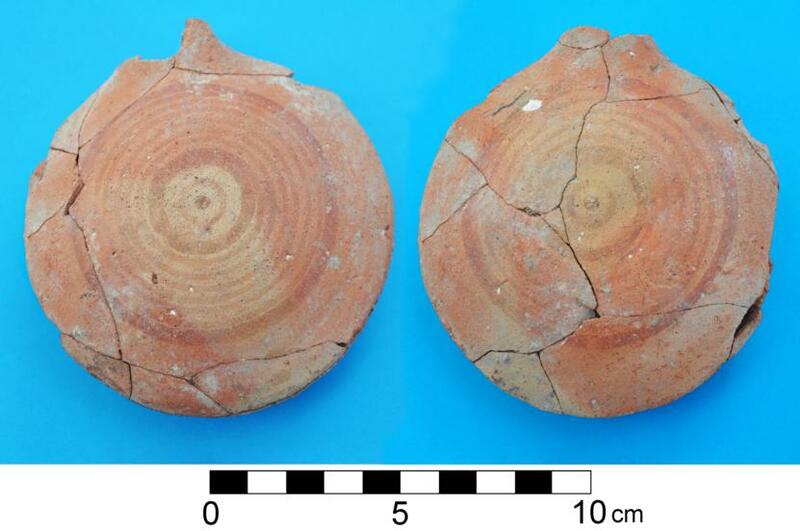 It is unlikely that cooking pots or loom weights of unfired clay were imported from Philistia, as such objects are usually locally produced and too brittle to transport over long distances. We therefore suggest the arrival of a new ethnic group which was strongly connected to the Sea Peoples / Philistines and intermingled or intermarried with local peoples. After the destruction of Phase IX and the abandonment of the city the area was reoccupied in Phase X after a possible occupational lacuna. Many walls of the previous building were reused in Phase X. 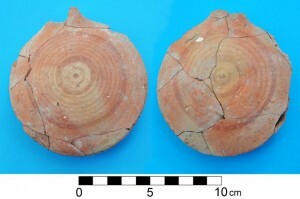 In this phase, too, there are some objects – although much fewer in number – which are connected to the Philistines such as pottery with white slip and again some Aegean-type, spool-shaped, loom weights. This hints at a certain Philistine presence at the site during Phase X as well but also to an accelerating assimilation of the immigrants. 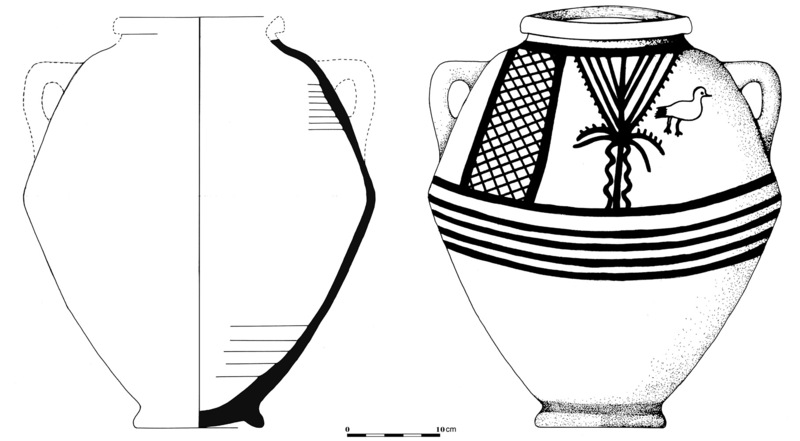 In Phase XI Philistine traces are difficult to recognise. Of a total of 42 radiocarbon dates from Iron Age contexts 15 are from the contents of vessels standing on the floors of the Iron Age Phase IX compound in Area 9. According to the radiocarbon dates the destruction event of Phase IX took place around 1100 BCE, i.e. between 1128 and 1055 BCE (1σ) or between 1193 and 1049 (2σ). We suggest the destruction of Phase X occurred in the 10th century BCE.